Here's some information about the Radian RXT from the Diono website: Looking good on the outside is something to be treasured, but we all know it’s what’s on the inside that counts. That’s why we designed the Radian RXT with your child’s security and safety as top priorities. Premium materials and thoughtful safety features like a steel alloy frame, aluminum reinforced side walls, energy absorbing EPS foam, and a reinforced adjustable head support keep your little one safe and sound. 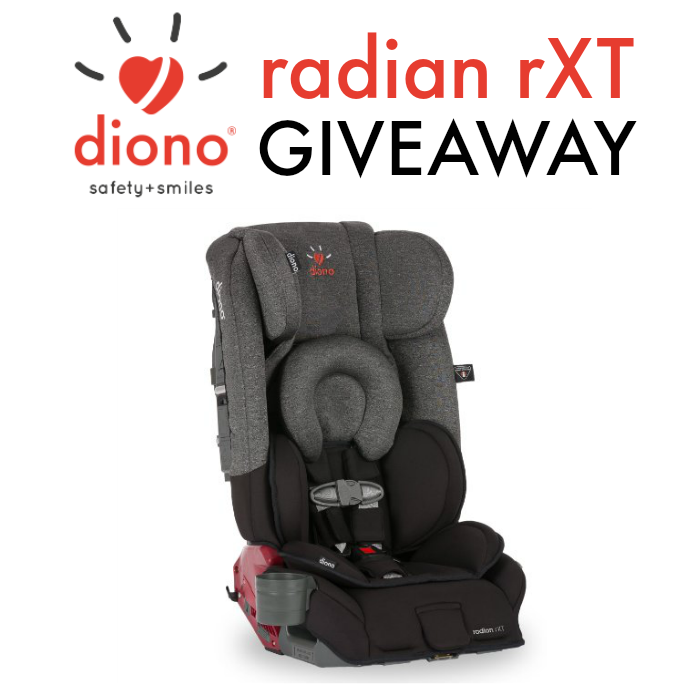 To enter to win a Diono Radian RXT, just use the Giveaway Tools form below. Open to the Continental US only, ages 18 and up. Ends 9/30/16 at 11:59 PM EST.